Kai is a serious person and doesn't like to joke around like other kids his age. He doesn't talk much or to anyone. 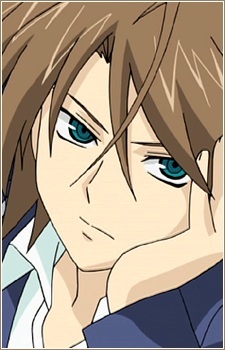 When cardfighting, he is shown to be more serious and confident on winning the game without any need of support. Despite his selective mute personality, he has a best friend is, Taishi Miwa. Toshiki Kai main deck focus is the Kagerou clan deck. His trump card is Dragonic Overlord. His strongest and most commonly used cards are normally Flame Dragons. In season 2, Kai main deck focus is the Narukami clan deck. Kai stays with this clan in Season 3, although hasn't given up on his Kagero deck. After seeing how far Aichi has come, Kai now doubts his own strength in comparison and seems to be striving to prove that he's able to keep up. Kai's concerns worsen during the VF High School Tournament and he fears he's falling behind. Previews have him affiliated with the new Link Joker clan.